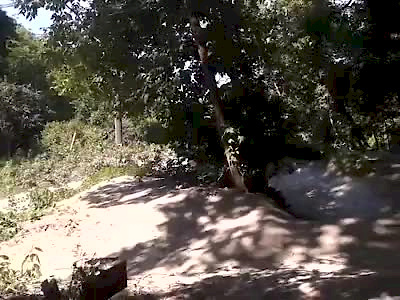 This is the official page for ZM Cycle & Fitness Ltd. We are a local bike shop in Toronto, Ontario, and Kitchener, Ontario that specializes in dirt jumping and mountain bike products! We are also the North American Distributor for Dartmoor Bicycles from Poland. We have a large buy/sell here on PinkBike so be sure to take a look at our products! 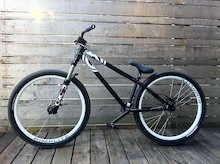 http://zmcyclefitness.shoplightspeed.com/dartmoor-two6player-black-long-2019-minor-costmeti.html Buy online. Free ship in Canada and Lower 50 US States. FIRM PRICE, Tax on top for Canadians. US Price varies day to day. USD approx rate shown on website. Please message if you are local or in Ontario for price movement. THIS FRAME HAS BEEN PREVIOUSLY MOUNTED ON THE Two6Player COMPLETE BIKE! FRAME HAS NEVER BEEN USED. MINOR SCRATCH SEEN IN PHOTO. 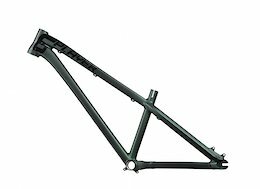 The most popular Dirt Jumping frame in the world after last refreshing gained not only a brand new shape but also a strength like never before. When tested on the ISO machine with 40% overload new Two6Player survived over 250 000 cycles during the horizontal fatigue test which is the most stringent test to pass for the head tube area. 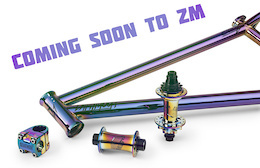 Fresh design and stronger tubes are not the only upgrades. Two6Player is now longer and BB is 5mm lower than before. It has been 10 years now since we designed the first generation of Two6Player frame. We are uber proud and happy that during these 10 years so many thousands of riders have trusted our flagship DJ frame. SPECIFICATION Frame size: Short, Long Wheel size: 26" Recommended fork travel: 90-130mm Hub size: 135x10mm Headset type: IS42/IS52 BB type: Euro (BSA/ISO) 73mm Brake mount: IS Max. rotor size: 160mm Max. tire size: 26x2.35" Front derailleur compatibility: no Seat post diam. :30.9mm Seat clamp diam. : 34.9mm Weight: Short - 2.20kg, Long - 2.25kg.